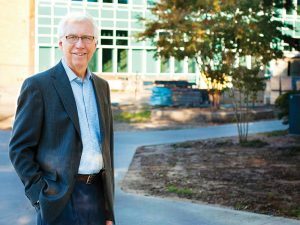 Selected by the Board of Trustees to serve as interim president as of July 1, Dr. Michael Imhoff knows the College well. He joined the Chemistry Department faculty in 1970 and was named the Rupert B. Lowe Chair in Chemistry in 1995. 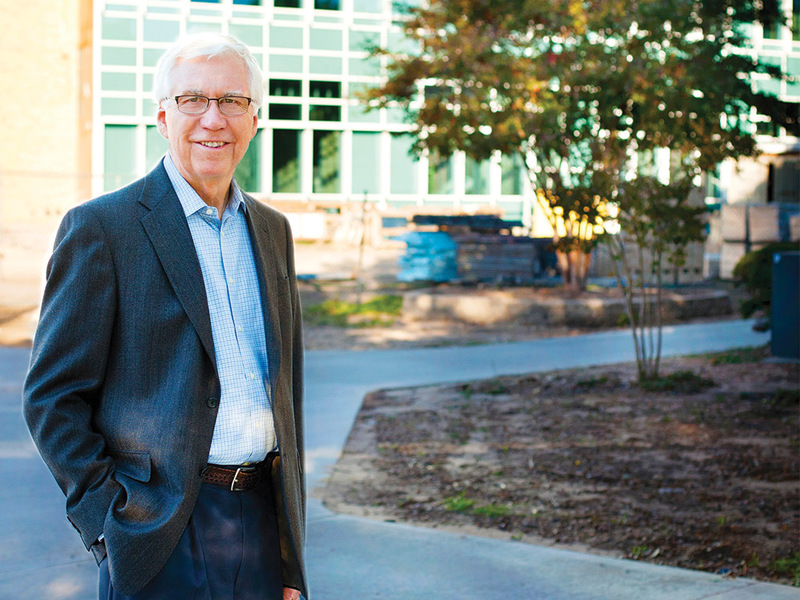 The professor left the classroom in 2000 to serve as vice president for Academic Affairs and dean of the faculty, working alongside presidents Oscar C. Page and Marjorie Hass, until his retirement in 2013. As I write this letter, Austin College is actively engaged in a presidential search. Dr. Marjorie Hass, after completing eight years of inspired leadership, has moved on to serve as the 20th president of Rhodes College. For the faculty and staff of Austin College, this is a time of excitement and some concern. During my years at Austin College, I served under four presidents: John D. Moseley, Harry Smith, Oscar Page, and Marjorie Hass. Each president brought unique talents that enhanced life at the College, but more importantly reinforced the College’s mission and commitment to the liberal arts. Although about a quarter of today’s faculty and staff go back to the “Harry Smith days” and others are fairly new, we all share a sense of anticipation as we await the announcement of a new president. In the meantime, I am honored to serve as interim president as we begin the fall semester. I have been asked to “do no harm” as I assume temporarily the role of president, and I look forward to spending time with Austin College’s students, faculty, staff, alumni, and friends. In the meantime, a search committee led by trustee Scott Austin ’83 is hard at work to find the best individual to serve as the 16th president of Austin College. As I write, I am aware that I am making a strange journey. Few people return from retirement to go back to work for their old employer. I have been retired for four years and feel a little like I am returning from the other side of the curtain. I have this recurring conversation: “Well, tell me about retirement. What have you been doing? How has it been?” They wait as I think. I have no completed projects to show them. No articles for them to read. But … I miss Austin College and the fun of sharing ideas with colleagues and students. It is an environment I enjoyed and perhaps took for granted during my 40-plus years here. It was fulfilling, and now I sorely miss it in the outside world of retirement. Well, I am back for a few months; I will savor this time and try not to bore students and colleagues with my enthusiasm.